Who? Me? 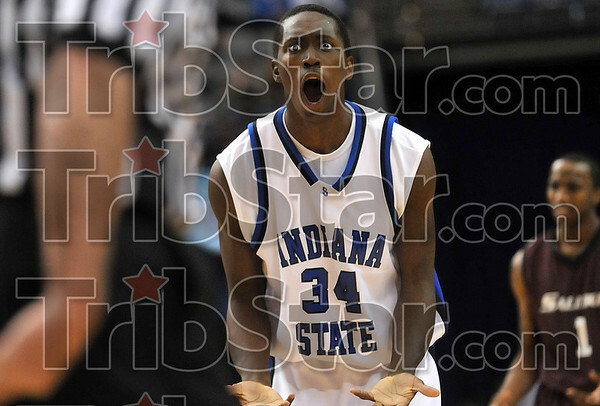 : Indiana State's Carl Richard reacts to being called for a foul by an official during the Sycamores' game against Southern Illinois Wednesday, Jan. 21 at Hulman Center.